Wow, I can’t believe we’re now on Day 5. It’s Friday, Aloha Friday. I decided to go out and shop for groceries. I went to Walmart and Times Market to shop for basic food items. Prior to renting via AirBNB and VRBO, we used to buy all the basic necessities in order for us to cook simple meals. When I say basic necessities, I’m talking about salt, pepper, cooking oil, spices and sauces, coffee, coffee filter, creamer, sugar, etc.. 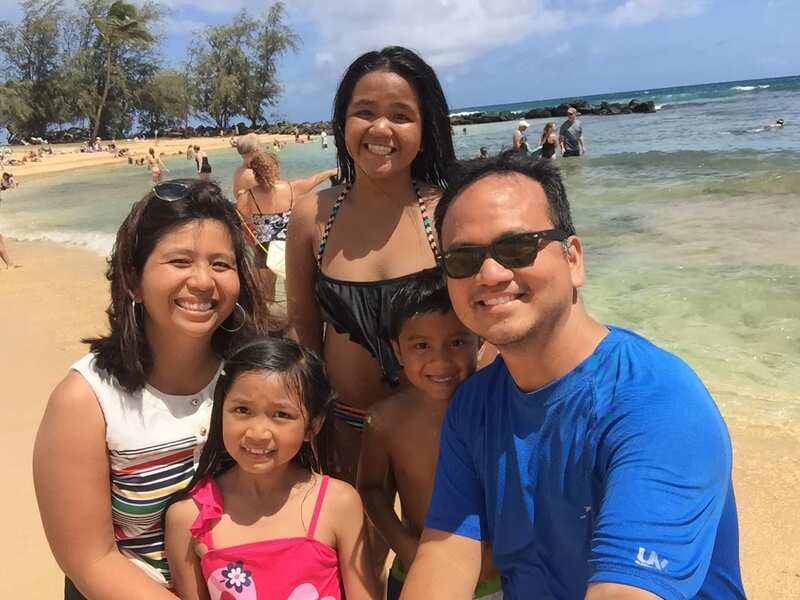 But I’ve been fortunate with the properties in Maui and Kauai. Those basics were all in the house and were readily available for us to use. That’s another savings that I had to consider when I chose to rent via AirBNB vs. staying in a traditional hotel. 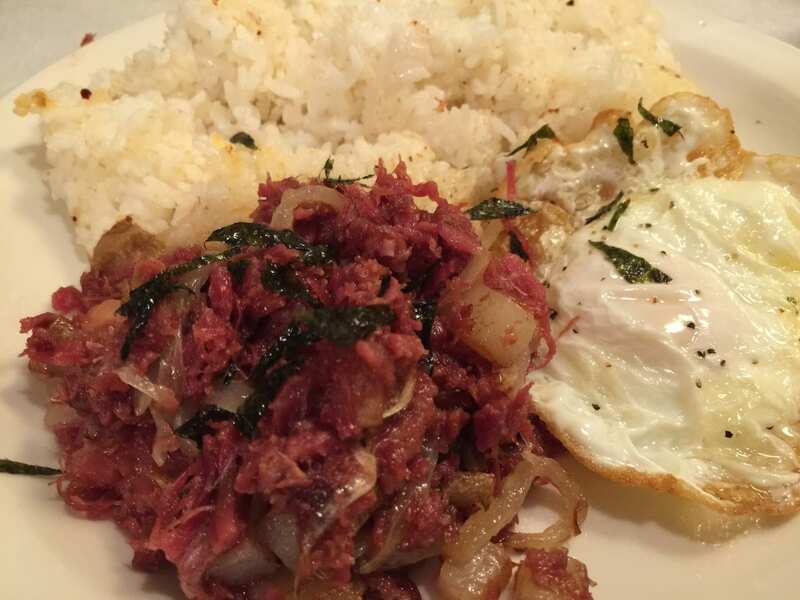 Once I got home, I cooked a quick Filipino breakfast – corned beed with garlic fried rice and eggs. The kids had cereal and bananas. It was good enough to start our day. Oh and BTW, I was not feeling any better. In fact, more nasal congestion, sinus pressure headache – that’s the issue today. Again, I was determined to beat this puppy! 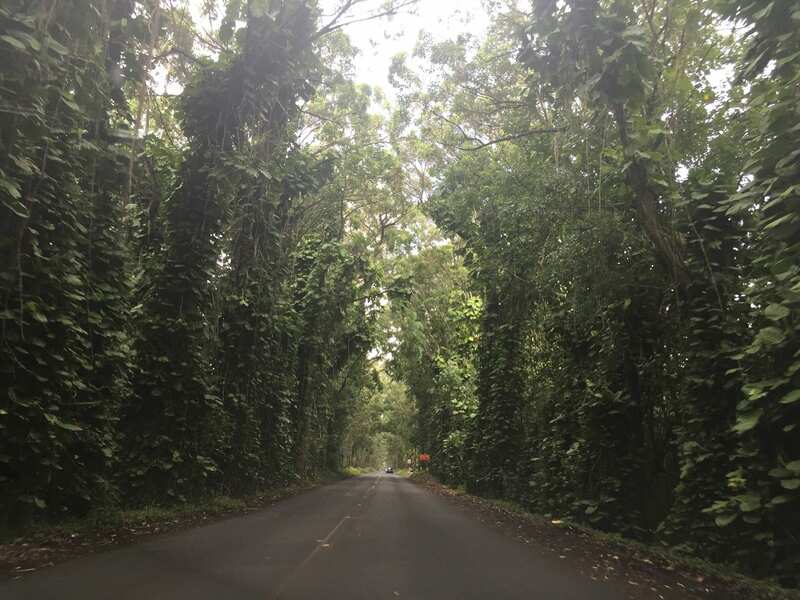 Ok so it was time to get out of Lihue and we first ventured to Koloa Town. It was already late in the morning when we left, and we figured we might as well get a quick lunch plate in Koloa Town. I was prepared. I brought 2 little Tupperwares of cooked white rice because I’m a man with a plan. 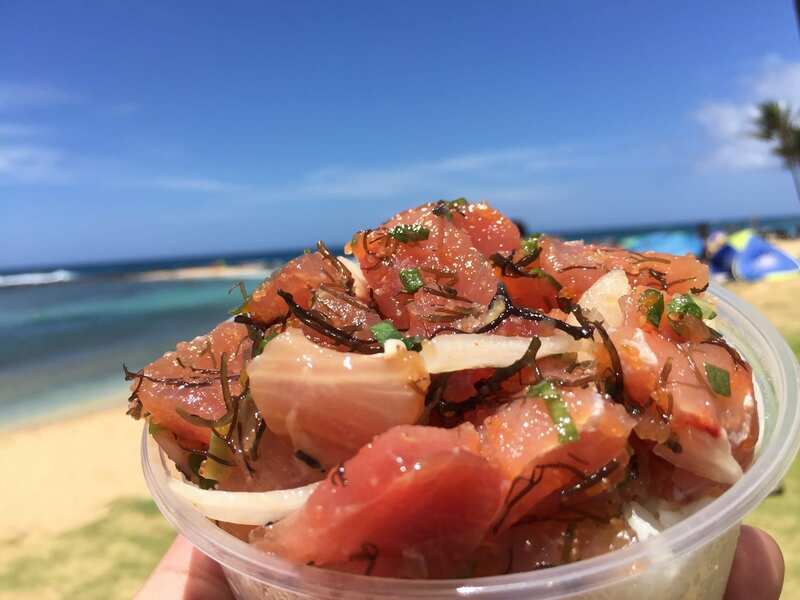 I planned to stop at Koloa Fish Market for poke. I bought 2 types – Tako Poke and Maui Onion Seaweed Poke. I placed the poke on top of my rice, and there you have it – my lunch. The kids ordered a Teri Beef plate lunch from Sueoka’s. 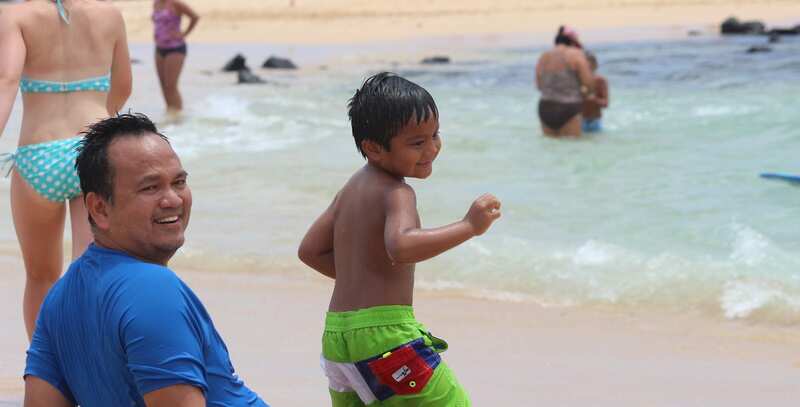 Now, we didn’t have to worry about being hungry while we played in Poipu. 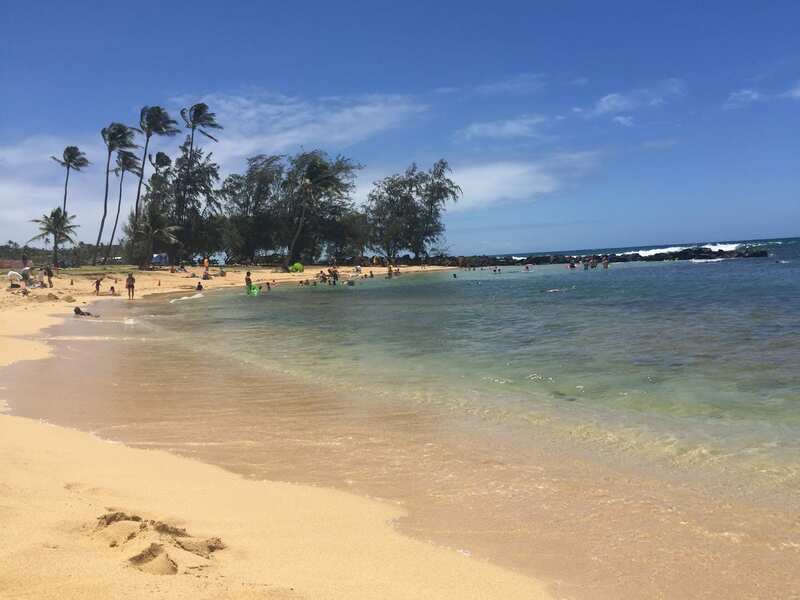 We finally made it to Poipu Beach close to noon. 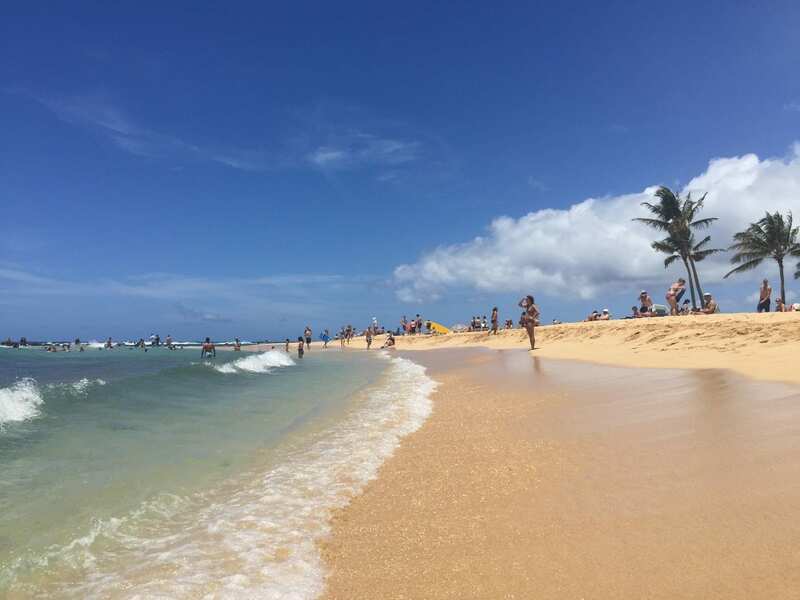 Poipu was ranked in the Top 10 Best Hawaiian Beaches by the Travel Channel. It wasn’t as crowded as I had expected. 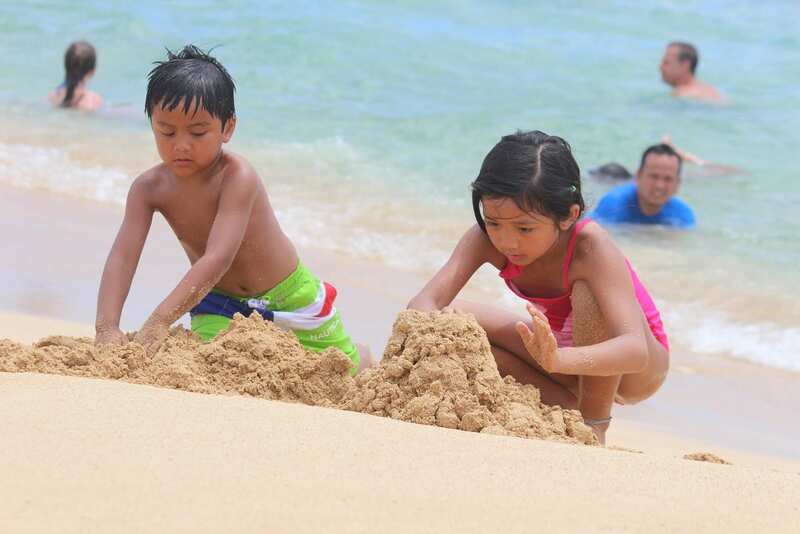 At first, the kids played in the shallow side of the cove. I then asked them to join me midway where the 2 coves or the 2 beaches meet. 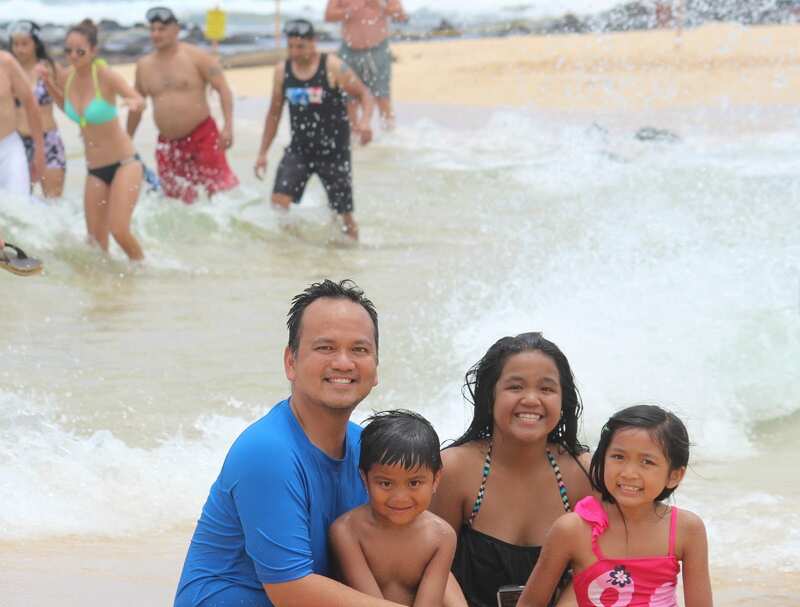 It was a fun place to play – 2 waves from 2 sides met in the middle and collided. We were pushed both ways, which was pretty fun. I’m so glad to see that all my kids know how to swim. 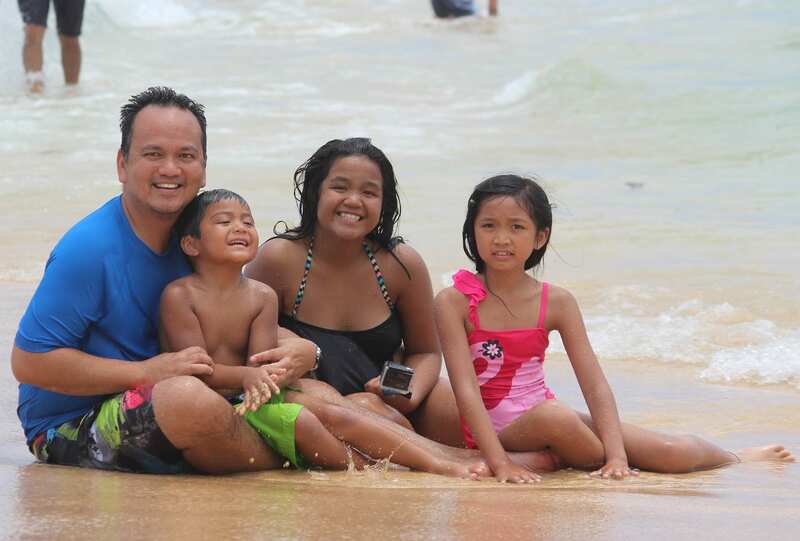 They are comfortable in the water which makes going to the beach even more exciting. 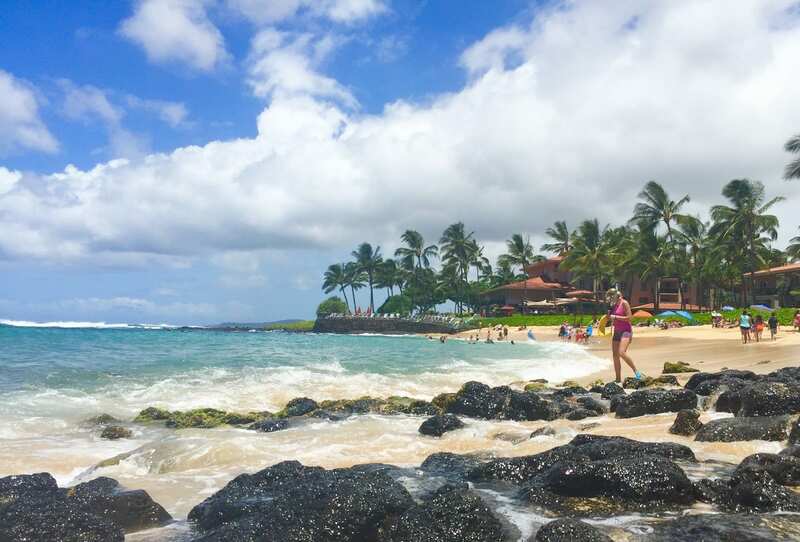 Nancy, on the other hand, found herself napping on the sandy shores of Poipu. She was easily taken away by the beauty of the area and fell asleep for a good hour. Hard to imagine that we played in the water close to 3 hours. We decided to leave at 3:30pm. On the way home, we made a quick stop at Kauai Bakery. The Malasada Lady was not open around 4pm which is why we went with option 2. 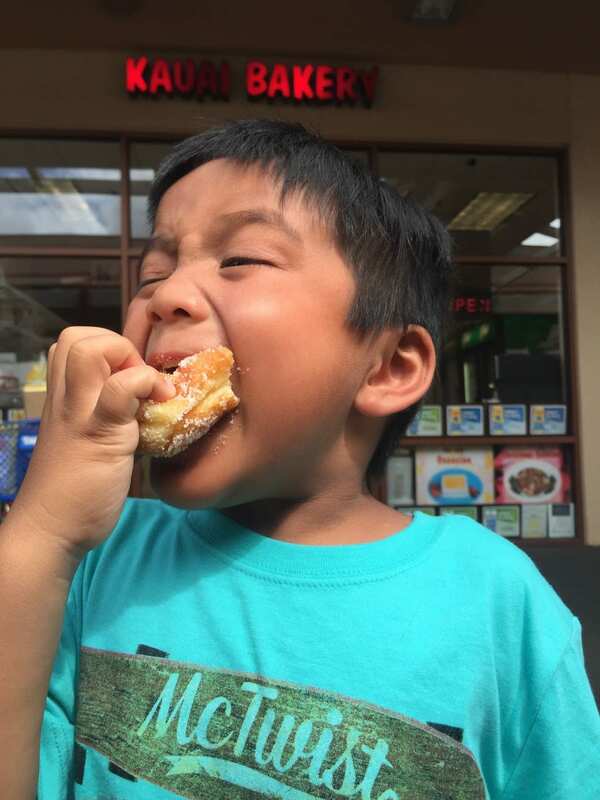 Evan is a big fan of malasada and he knew that there was another option. When Nancy and I enjoyed our Cajun shrimp from the shrimp station, all we could talk about was to eat some more. But I told her, we could make it ourselves. 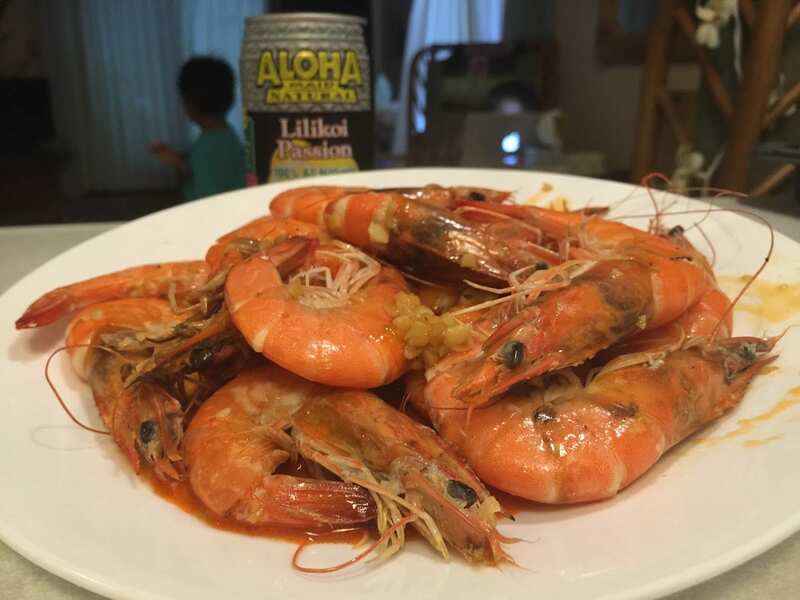 After leaving Poipu Beach, we went to Costco, and bought fresh Kauai shrimp. Once we got home, I started getting to work in the kitchen. I kept the recipe simple. I wanted to make garlic butter shrimp. I added organic peppercorn and Himalayan salt (courtesy of the condo’s kitchen pantry). I added a bit of Sierra Mist…and that was it. After 5-7 minutes, our dinner was served. That’s it….that was our Day Five. Thanks for following our journey.